The school holiday is over. As a working mom outside home,the biggest guilt is that I cannot accompany my child during holiday. So, I tried to prepare activities for my son for every weekdays in his holiday. Yes, one month full of activities. Now I thought that hey there are a lot of mothers out there who are in my position. Busy working, but at the same time wanted to plan activities for their children. So now I’d love to share a simple guide on how to plan activities for your kids, especially when you are away and unable to be with them to enjoy the activities together. 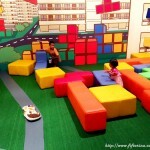 Though it is not mandatory, most parents nowadays are inclined towards learning through play. If you say, well I just want my child to have fun, then fine, good for you and your child. If you say, yes, of course he should learn something from his activities, then now it’s time for you to jot down these learning points. Are you done taking your notes? OK, now, let’s move on to number 2. Say, if you want to do crafts, what kind of craft it is and what materials does it need. And remember that we will not be by their side when they do these activities, so be sure to choose activities that they can do independently or with very minimal supervision. 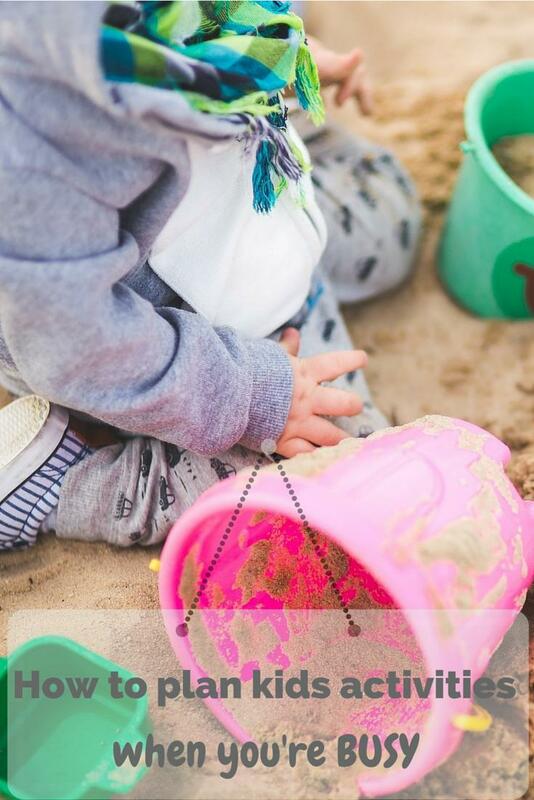 Here I’d like to share with you some of my favourite websites that will give you a lot ( and I mean really A LOT) of ideas about kids activities. If you are still wondering where to find, start from here. Hands on as we grow. I love this website specifically because the activities presented here is super easy to prepare or require no preparation at all. Jamie (the author of this website) really encourage parent to do activities with kids, and through her newsletter as well I became more motivated to do more activities with my children. She even has a sample of weekly activity plan for you to take a peek. Check it out here. Gift of Curiousity. This site is full of printables. If you are printable lover who simply loves to print and give some fun activities to your kids, this is the site to browse. I love that her activities and printables are catered to even elder children such as kindergarten and early primary school students. Powerful Mothering. Nicolette is a very smart and crafty lady, in my opinion, that designed many cute crafts for play. 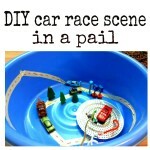 If you like DIY projects to do with your kids, this site is the way to go. 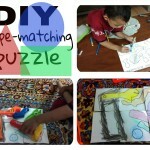 Check out her busy bag series which are very simple to make and guaranteed to get the kids occupied for long. There are other websites that do a lot of kids activities, but I don’t want to make you overwhelmed. Start with these three first. Ok, some of you may say, oh I can always go to Pinterest to find new ideas. Yes, you can, but you will be browsing a lot of ideas from different sites, and you know what, it takes a lot of time. From my experience, I ended up browsing and browsing, ‘oh, this one is good’, and ‘oh, this one is better’, but at the end, I chose nothing. A huge time waster for me. Of course, I’m not saying this is not good at all, just be careful to spend your time wisely. Now that you already got ideas on what kind of activities to choose for your children, let’s move to the fourth step. Get a spreadsheet and do the planning. The rule is simple. Remember your learning objectives, try to have these objectives covered in every single week, but perhaps you want to get slightly varied activities across weeks. It does not have to be entirely new thing. Similar activity under different theme will do, or exactly the same activity? Why not, as long as your kids enjoy it. Here’s a peek of my kids activities plan. You can see that I have a few different types of activities (or learning objective), color-coded differently. You can also see that I relied a lot on printables, well, simply because it is easy to prepare, and my son enjoys it a lot, especially the ones with cute characters. I made sure to choose various theme to work on so that my son does not get bored. Sensory-wise, use whatever you have at home, rice, playdough, pasta, or even some shaving foam. Let me give you one tips, use as simple set up as possible. That way, you won’t feel dreaded with so much preparation. If you need to do longer preparation, do it on weekend, such as colouring rice before hand. Now, congratulations, you have just finished your activity plan. Hey, don’t you think it is a great achievement for a busy mama like you? Yes, of course. Great job, mama! Some times, things went unplanned, you didn’t have time to prepare, and the day is simply gone without any special activity for your kids. That’s OK, give a pat on your back and promise that tomorrow it will be better. Sometimes, your kids does not like the activity that you planned. Well, it occurred to me, A LOT. But I also learnt that he may not like this activity today, but three or six months later, or a year later, I can see him getting so engrossed in that very same activity. So, please know that your effort is not wasted. If it is printables, keep it and try to give it again next time. Don’t get your self overwhelmed. 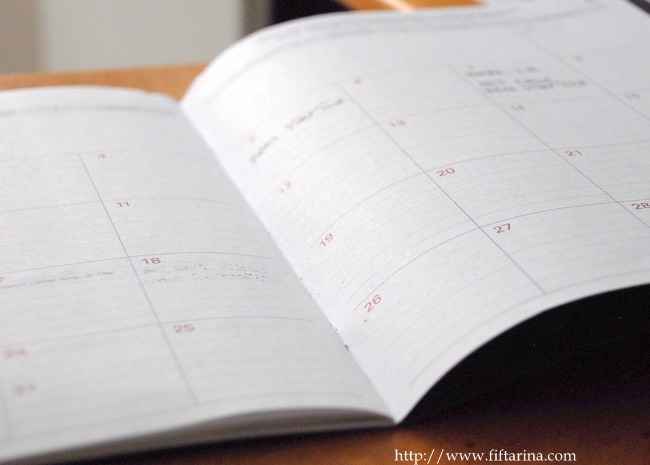 If planning one month activities seems like a huge task, start with one- week planning. Did I tell you just know that Jamie has an awesome weekly activity planner that’s FREE to download? Yes, you hear it right, it’s FREE and you can get it from here. Now it is your turn! Start planning activities for your kids and incorporate these tips as you go. Let me know in comments, does you plan works, or fail? I’d love to hear your opinion. PS: Want to know my child’s response on his special activity this holiday? He called it surprise. And every time he caught me preparing for his ‘play’ or printing some printables, he would say, ‘Thank you mommy, thank you mommy‘ numerous times. Take a peek on what he had done during holiday here. I believe he knows that I made an effort for planning and preparing for his activities. And for that, he appreciates what I’ve done. And I believe, even though I am not there every day to watch him play, he knows by heart, that mommy is thinking about him, every single day.